Buffy the Vampire Slayer Begins is one of the simpler fan edits I made to help bridge viewers from ANGELUS to the modern world of Buffy and Angel. 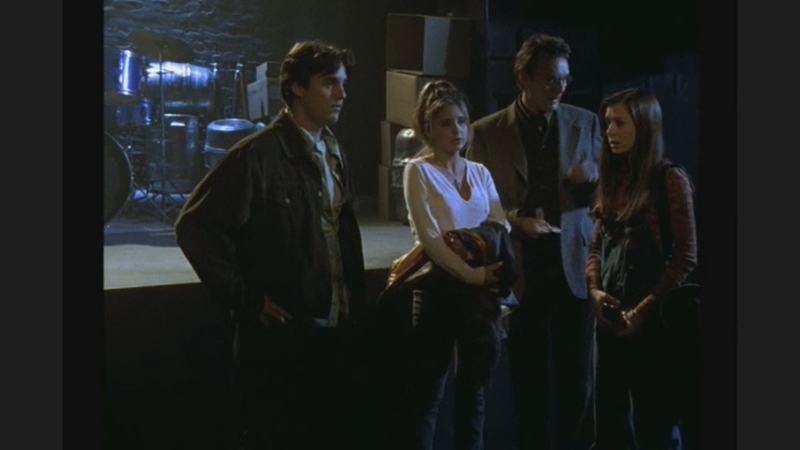 It is a slightly pared down and tightened cut of Buffy's first two episodes paced better for less patient, modern viewers. 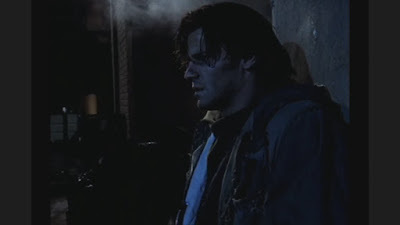 Having just watched Angel's full backstory in ANGELUS, you realize just how much Whistler did for Angel to prep him to return to the modern world. Angel seems to have gotten a hold of some resources and money, perhaps from old accounts he made as Angelus. Otherwise Whistler is bankrolling Angel something fierce. Unless Angel is doing some off-the-books work we are not aware of. Whatever the case, Angel has been busy to get cleaned up from his homeless decades of guilt and shame in New York City. And Angel is playing it pretty cool with his cards close to his chest, only introducing himself to Buffy to warn her about the Master and the Harvest. Angel doesn't let on that his whole life is essentially dedicated to helping and protecting Buffy.